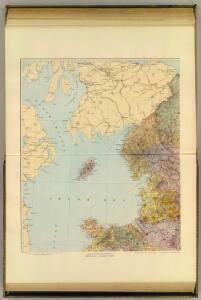 A mape of the west of Scotland containing Clydsdail, Nithsdail, Ranfrew, Shyre of Ayre, &#38; Galloway / authore Jo. Adair. A new and exact map of the River Clyde done by the late Mr. John Adair / now publish'd for the good of the publick by Geo. Scott.